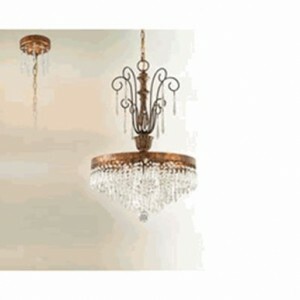 So you’re doing some interior decorating and want to find the best lighting fixture to accentuate your space. Perhaps you’ve heard of Troy Lighting, or maybe you haven’t. Keep reading to find out what makes Troy lighting fixtures so special, in our opinion. Troy Lighting, a Californian company, is a leader in the lighting industry. They are most known for their quality, design, value, and customer service. They manufacturer both interior and exterior lighting that are one of a kind. Their products are designed and created using hand-forged iron, hand applied finishes, and blown and frosted glass with complimentary shades to create a high-quality product. In fact, a lot of their outdoor lanterns are used indoors because of their refreshing styles. People like the unique designs, particularly when it comes to their home décor. Who doesn’t want to have a lighting fixture over their kitchen table that no one else has? As well, when people buy a product for their home, they expect value; without having to spend a fortune. Troy Lighting has a reputation for their casual, yet sophisticated designs with realistic pricing. Since Troy Lighting fixtures put so much time and energy into their products, it only makes sense that they back them up. They want to make sure customers love their products as much as they do. Each product is produced in their 200,000 square foot manufacturing facility located in City of Industry (a suburb of Los Angeles), California. Each light in the Troy RLM collection is completely customizable and includes lamp options such as LEDs; and these lights are engineered for maximum performance and several electrical configurations from 120 volt to 277 volt. Troy Lighting offers an expansive line of primarily industrial or commercial light fixtures designed to reflect light downward. You can customize each fixture and specify them for hospitality, residential, commercial and contract settings. They also have a coastal finish that protects finishes on fixtures installed on coastal environments. They can be ordered in multiple color options – customers can order each component in a different finish or color. Mid Century: Aluminum shade with machined aluminum center adapter, two-toned option on adapter and arm and stem and pendant options. Dome: Aluminum shade with glass lens, two-toned lens ring option and arm size, stem and pendant options. Angle Reflector: Aluminum shade with glass, guard arm length options. Retro Industrial: Cast aluminum, aluminum shade with glass, arm, stem and pendant options. If you’re decorating or remodelling and want to see for your own eyes what makes Troy Lighting fixtures so special, check out the products on our website (www.crescentharbor.com). While you’re there, do check out our free lamp special.